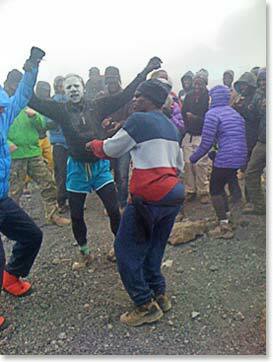 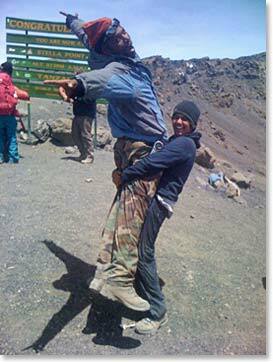 Right: Always time for some fun on Kilimanjaro! 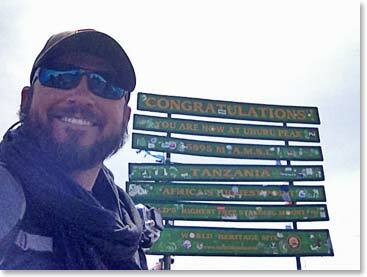 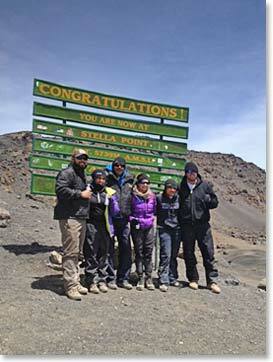 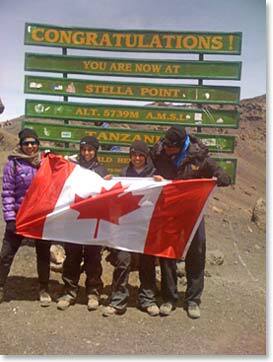 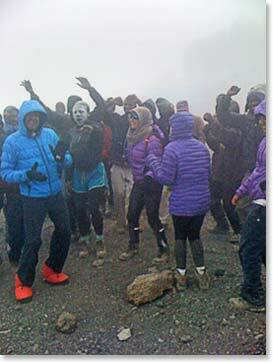 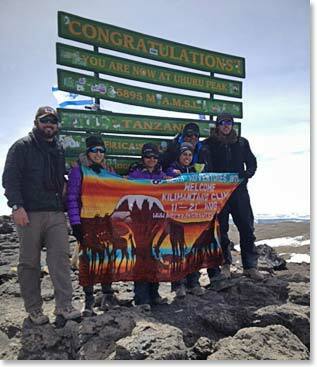 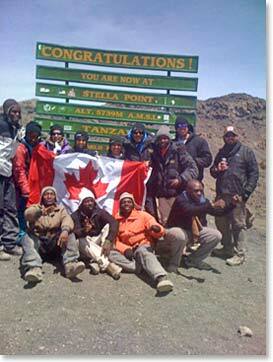 The team at the Summit of Kilimanjaro; Uhuru Peak 19,339 ft. Congratulations! 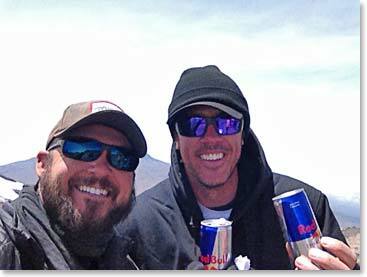 Refreshing beverages await the team after their summit. 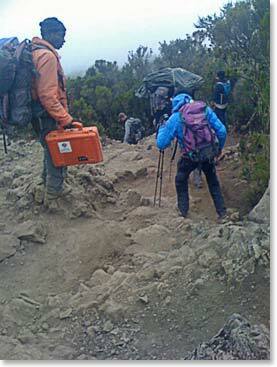 After a beautiful, exciting and successful climb it is time to descend.